It is no secret...these flavors are a BIG F'IN DEAL! 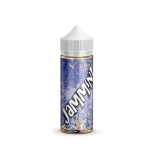 Quality meets price in this astounding line of e liquid. Try one flavor or all of them to see what the deal is.